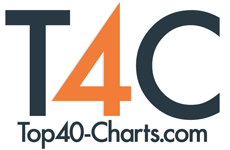 New York, NY (Top40 Charts) There was a time that using Facebook for authentication on websites as a secure and user-friendly way to accomplish an often complex feature. Lately the idea of Facebook gathering our data is no longer sounding very good. To that end, while we started our Members area with the ability to register and login via Facebook, today we are making some changes. The Facebook method stays, but our main method will be without any third-party tracking. Using only your e-mail address, you can sign up for a (always free) account or later login to it. When you fill in your email address, a mail is sent to you with a link to finish registration / logging in. You might have seen this password-less method on Tumblr or Slack. This works for (most) existing accounts as well, just enter the address you have on Facebook. For some cases, due to your Facebook privacy settings, we might not have your email address stored, so this will not work fo you. Your email address will be securely stored on our servers and will not be shared with anyone (see more at our Privacy page). To test this our, just try the link on the right-side column or head to the Members area. Update 11/11/2018: It is now easier to login from the right-side box on all pages, just entered your email address! Colombo-American Latin Pop Sensation Individuo, Launches Its New Single "Desapercibida (Unnoticed)"
The Greatest Showman Soundtrack Goes Double Platinum! RockFest 80's Music Festival Returns For Year Three!